Place the 5 points in place to graph the parabola. 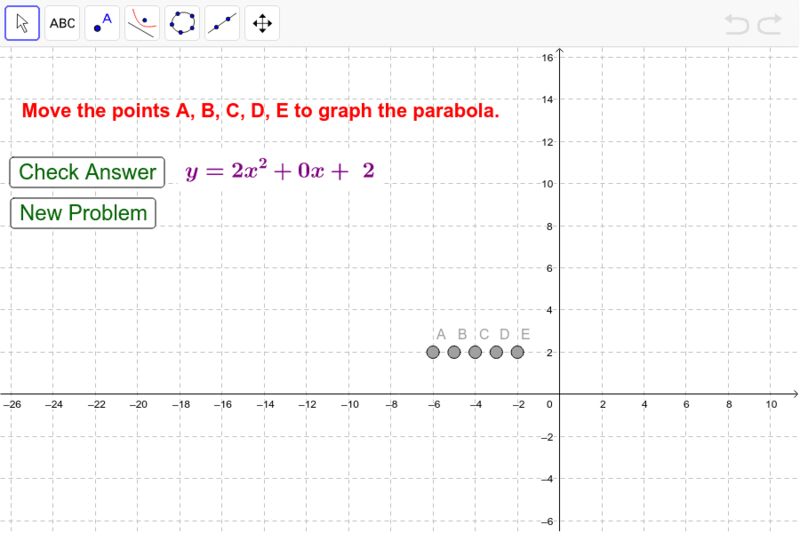 Then use the 'conic tool' to draw your parabola by clicking on each point. Check your answer, then try the next problem.